There is no greater sacrifice. At AARP, we never take for granted the freedom and rights that are protected each day by our military men and women. 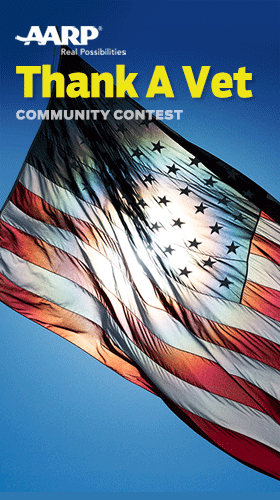 Post a thank you note to a Veteran and enter a chance to win one of the four $50 gift cards. - You can enter as many times as you wish. - You can vote only one for each entry. - You can't vote for your own entries. - Each entry requires a label. - Contest ends November 14, 2015.